Live More in Sunmor! Located on one of Sunmors most desired streets "LIVMOR", this mid-century home was built by Robert "Bob" Higgins in 1955. The home has undergone an extensive remodel and expansion blending seamlessly with the original builder's vision. Top quality finishes and appliances were used during the well thought out updating of the home. Terrazzo floors give an expansive look and feel blending the indoor/outdoor - a quality Palm Springs homeowners seek. An outdoor fire pit and sheltered BBQ area embrace the use of the exterior space for entertaining. The pool and spa have breathtaking views of the San Jacinto mountain range. At just over 2,100 square feet this iconic home in one of Palm Springs most desired neighborhoods, brings everything today's homeowner desires. 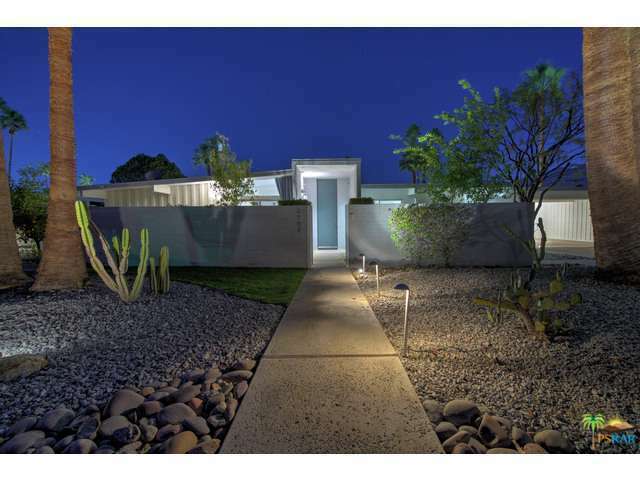 This home was featured during Modernism Week on the Sunmor home tour.